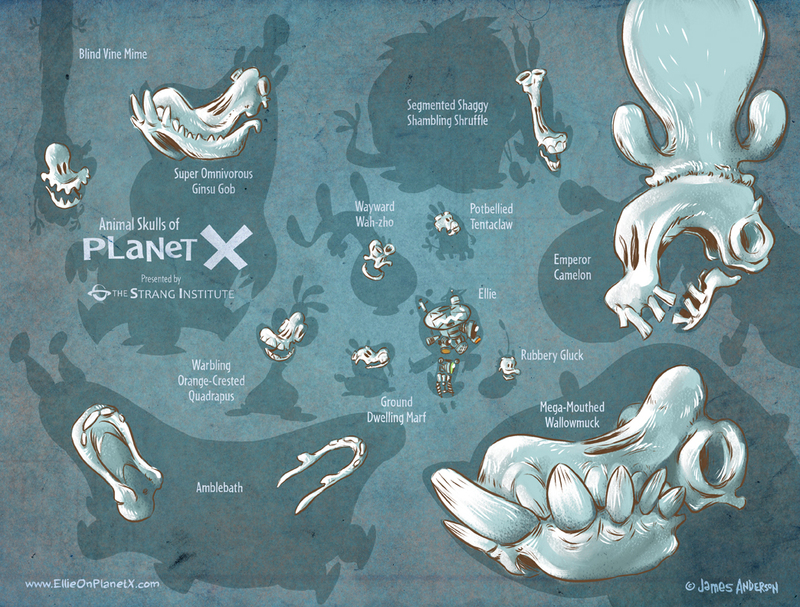 Here’s a little chart I put together featuring the skulls of some of Planet X’s inhabitants. Not everybody we’ve encountered is represented since they don’t all have brain helmets. 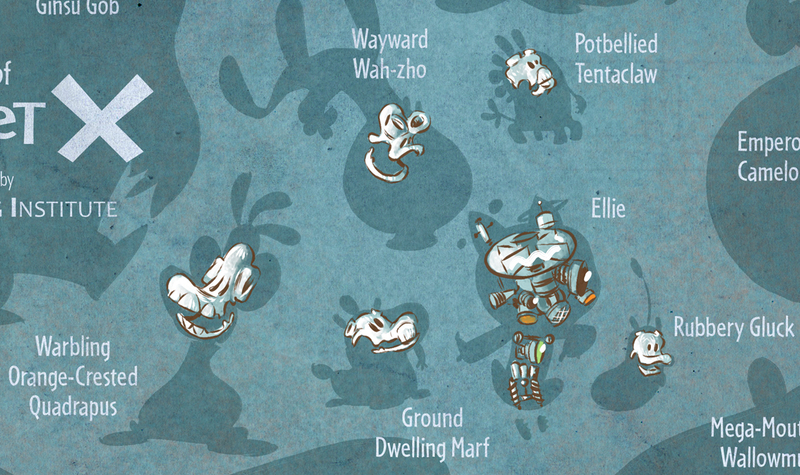 Bonus: we get to find out Ernie’s species name! Click the pics to bigafy . . .